The Authentic Ibadan Mogajis group on Monday issued a seven-day ultimatum to the Oyo State Governor, Abiola Ajimobi, to withdraw the statement he allegedly made against one of the wives of the Olubadan of Ibadan land, Oba Saliu Adetunji. 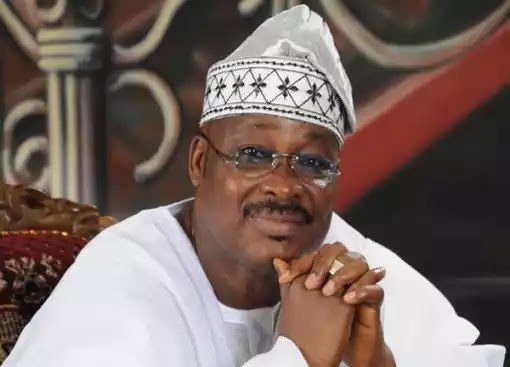 A spokesman for the group, Chief Olawale Oladoja, who is the Mogaji of Akinsola compound in the Oopo Labiran area of Ibadan, said at the end of its meeting that the governor’s statement was a sign of disrespect to the Olubadan throne and the Ibadan people. The governor had reportedly said in a broadcast that he used to send the present Olubadan’s wife to his (governor’s) girlfriend. But when contacted for his reaction, the Special Adviser on Communication and Strategy to the Governor, Mr. Yomi Layinka, said the government would not comment on such issues. Similarly, the state Commissioner for Information, Culture and Tourism, Mr. Toye Arulogun, said the matters raised by the mogajis were non-issues. Among those at the meeting were the Mogaji Adanla, Chief AbdulJelil Karimu; Mogaji Fatumo compound in Oke Bioku, Fatai Olanrewaju; Mogaji Oloko, Chief Abas Oloko; Mogaji Akere, Chief Moshood Akere; and Mogaji Aladorin, Chief Wasiu Aderoju. Oladoja said, “We wish to respond to the governor’s broadcast over the Olubadan issue and coronation of some chiefs. We are a law-abiding people and we have gone to court over the issue. We are sure that they have the Ministry of Justice in the state government who interprets the law for the executive. “The governor said in the broadcast that he used to send the present Olubadan’s wife to his (governor) girlfriend. That is an insult on the Olubadan throne and Ibadan people even when the event dated back many years. The woman in question is now an Olori. We are giving him (governor) a seven-day ultimatum to withdraw the statement. “He has about 19 months more to spend as governor of the state after which he will become a former governor. He should realise that whatever we do today will become history tomorrow. If during your tenure you destablise the Ibadan custom despite being our brother, you will come back to meet it that way. “We expect the state governor to know more on this issue and we also want the people to be aware that what we are fighting for concerns the traditional institution and progress of Ibadan land. We cannot be intimidated by anyone on this issue.